An interesting conundrum faced Andy McCluskey and Paul Humphreys as they mapped out prospective setlists for Orchestral Manoeuvres In The Dark‘s first North American shows in two decades, the first of which occurred last night (March 5) at the Phoenix Concert Theatre in Toronto. McCluskey’s admitted they need to prove viability to whomever underwrites this stuff, and OMD have a five-pack of Top 100 Billboard hits they can trot out to appease the bean counters. On the other hand, the intervening years have treated them pretty well, what with the online media hipster-approving earlier records for fresh advocates who needn’t know what got medium-to-heavy MTV rotation, circa 1986. Today’s blog surfer is used to pet bands rarely troubling the mainstream charts (shock Grammy wins notwithstanding, right Arcade Fire?). Were they so inclined, OMD’s Twitter bio might read: “Synthpop group with penchant for bonkers thematic, textural and structural experimentation. Can’t help it if we’re also brilliant melodists.” The lovely, wintry weirdness and frantic bass lines that drove those early records gave way to a streamlined Big ’80s sound that the uninitiated mistake for standard-issue OMD. But it’s not all Duckie Dale and Pretty In Pink love ballads. Duckie didn’t fuel 2007’s rebirth, and doesn’t figure in the future, either. Still, what do you do when you have to pay the bills? Which brings me to last night’s sold-out Phoenix gig. OMD played it democratically, sourcing 10 of their 11 LPs, plus a pair of standalone singles, a most practical blueprint lifted from Jagger’s Rolling Stones playbook, of greatest hits plus a broad swatch off the current LP. 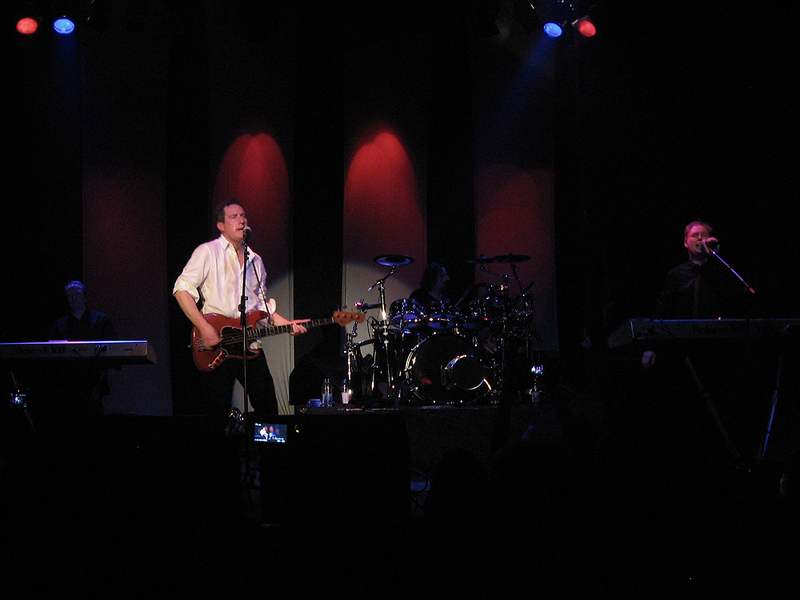 No one at The Phoenix or any of the other small-capacity venues will argue this time, because OMD’s frankly amazing skein of locomotive keyboard pop singles deserves a communal celebration after so much time on the shelf. McCluskey’s a top-grade frontman. Loquacious from the off, he winkingly engages the room with between-song, inside-scoop, Townshend-like patter. (On the subject of the setlist: “We’re playing the hits. But for the super-intelligentsia out there, here’s one that wasn’t.” On the subject of his manic, drunk-uncle dancing, an old trope given new life through vintage YouTube uploads: “This is where the stupid dancing begins.”) He might not bust moves with the athletic menefreghismo of 30 years ago, but he earns every honourable bead of sweat. He still plays the bass like he’s rubbin’ one out too. And he doesn’t skimp on the vocals. There’s nothing lazy about OMD’s vocal melodies: maybe the most “pop” aspect of their sound is how hummable they are, how much they ride the scale. 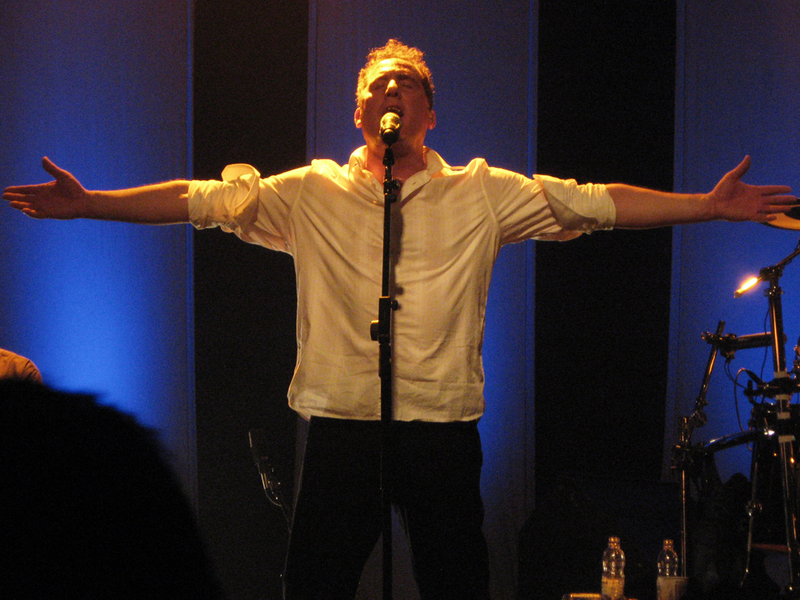 The most-telling moment – maybe – comes at the climax of “If You Leave,” the soppy, contrived Pretty In Pink hit they need to play for these North American crowds (not so in Europe, where “Leave” bombed): Andy, soaring into that button-busting “don’t look baaaaaack” climax, that even a doubter must confess is pretty impressive for its technical difficulty. Andy, at song’s end, bent double at the waist, gazing into the spirited crowd, restoring breath control, grinning knowingly, playing the moment to the hilt. McCluskey’s mates were on reassuringly good form throughout. The less-demonstrative Humphreys will never want for crowd affection. All he needs to do is take the mike for the limpid “Souvenir” or “(Forever) Live And Die” and the room’s a-swooning. He’s retained his lovely, if less dynamic, singing voice, one that carries a sort of double-tracked shimmer about it, even in concert. It’s a nice contrast with McCluskey’s anxious emoting. (My Christmas list includes hearing “Promise” and “Never Turn Away,” Paul. Think about it, ‘kay?) Keyboardist Martin Cooper and drummer Malcolm Holmes, without whom none of this would resonate quite so warmly, also hit their spots. 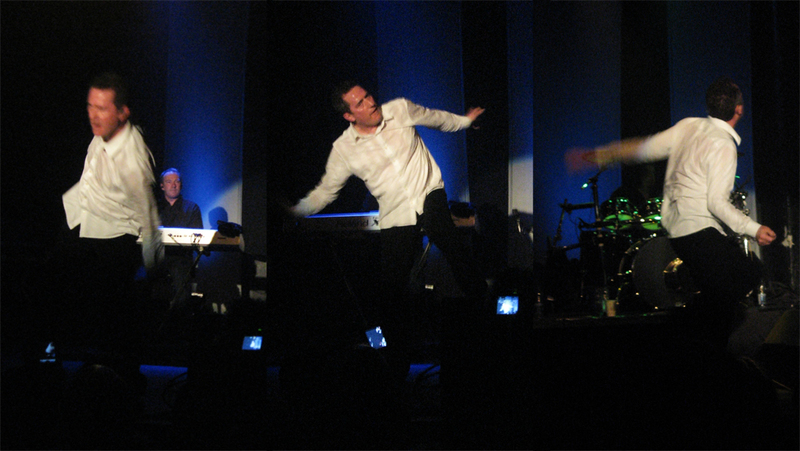 Not surprising, considering OMD’s been a working band for a few years now, but to hear Cooper melt his signature sax break into “So In Love”, or Holmes’ flashy waltz-timed thwacking throughout “Maid Of Orleans”, is to time travel in style. Justifiably proud of their recent History Of Modern reunion album (basically, it’s a good, unapologetically old-school new wave LP), McCluskey and company promised they’ll be back for another tour, which is pretty encouraging news to hear halfway through opening night. More encouraging is empirical evidence of a once-great band still possessing the chops to make such an endeavour worthwhile. You could see the delight in their faces as every note rang true. The tour’s support act is Oh Land, a glitchy synth trio led by a 25-year-old Danish ex-ballerina with a serious balloon fetish. “Sun Of A Gun” is an appealing Goldfrapp-like glam stomper; other songs are less immediate but solidly appealing (the debut LP’s out March 15th). Conventionally gorgeous women (blonde Heidi Klum is the best I can do) aren’t commonplace in leftfield synthpop, which probably won’t hurt her in the marketing department.